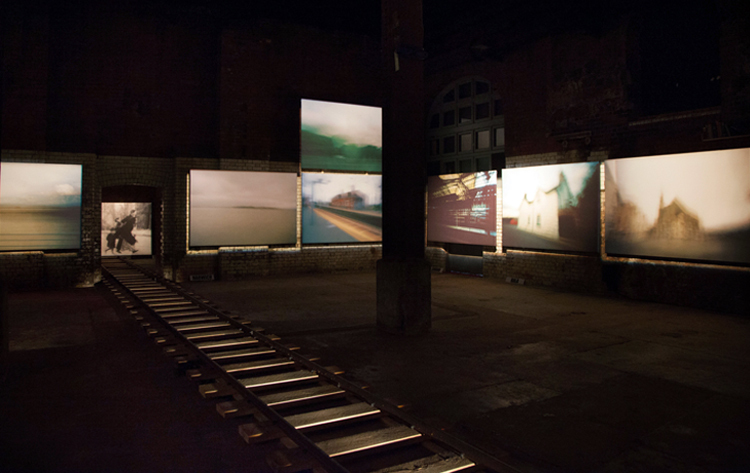 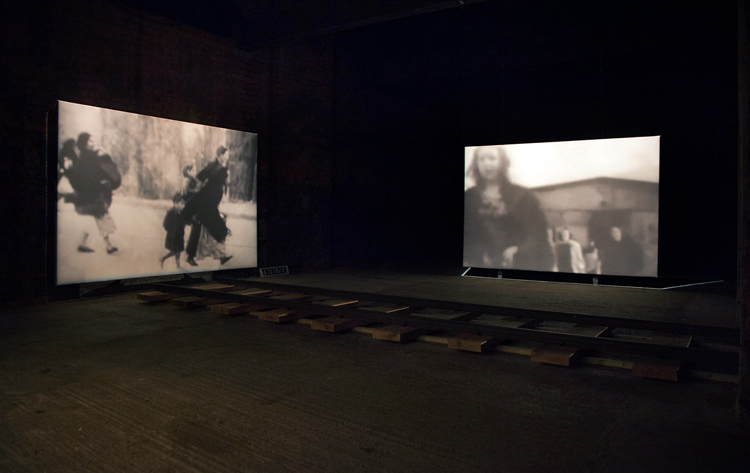 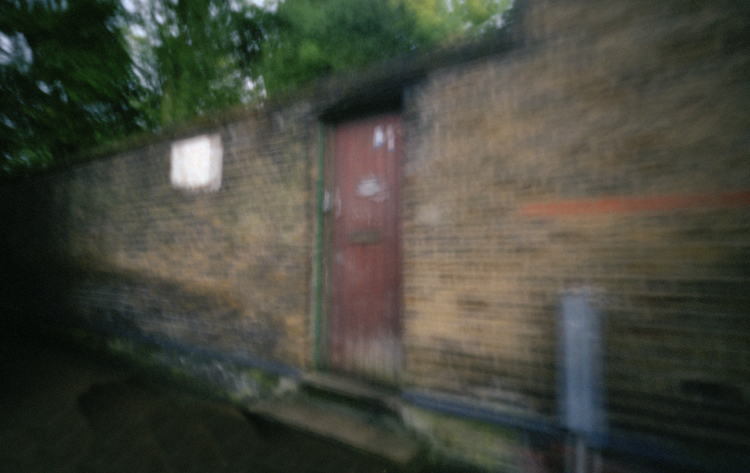 The installation which includes monumental pinhole camera photographs taken in the book’s key locations, a metaphorical railway line and Jewish actors reading the novel is created by Stuke in collaboration with The Wapping Project’s curator Jules Wright. 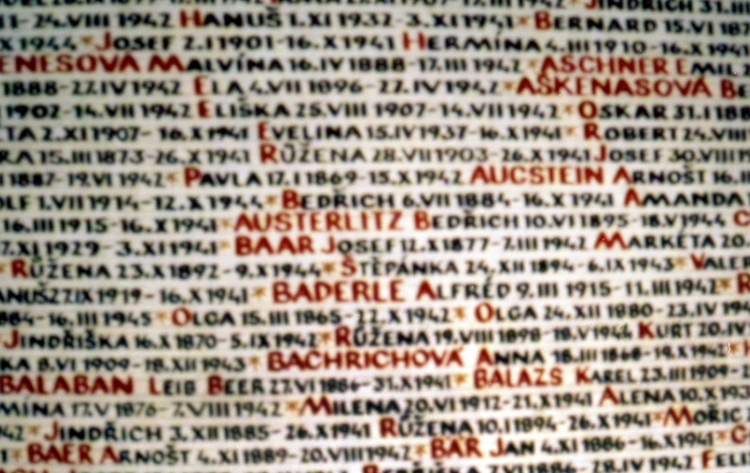 The commissioning of a German artist to respond to a work which deals with the Nazi oppression of Jews is not lost on Karen Stuke for whom the process has been often difficult and painful. 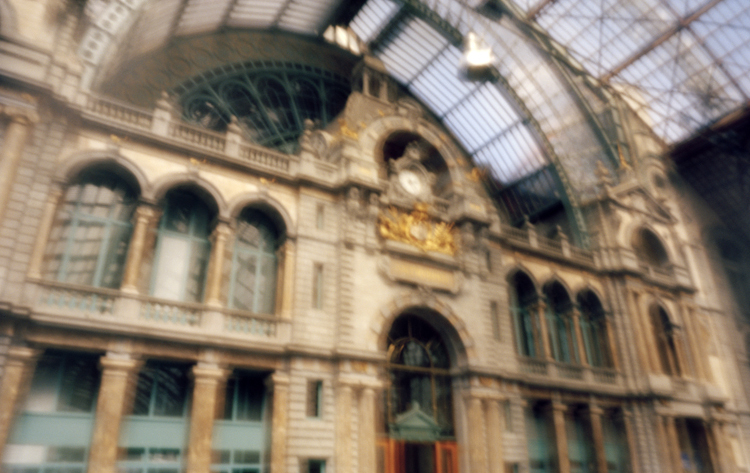 Austerlitz is one of literature’s most haunting meditation on time, loss and retrieval. 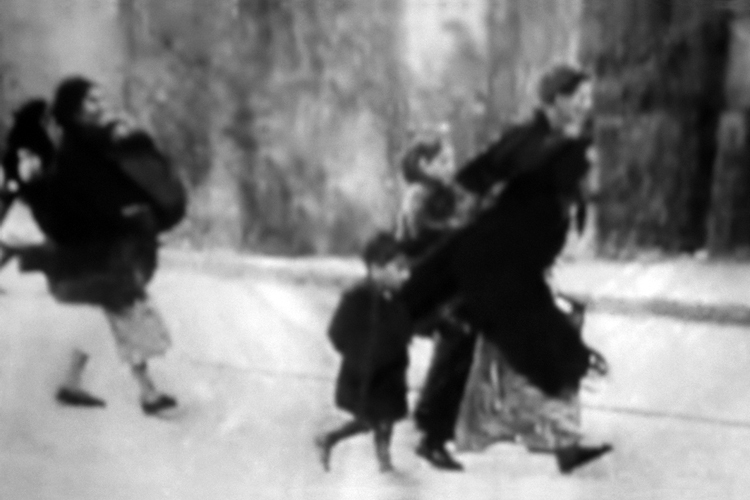 It tells the story of Jacques Austerlitz, an architectural historian who, aged 5, was sent to England on a Kindertransport and placed with foster parents in Wales. 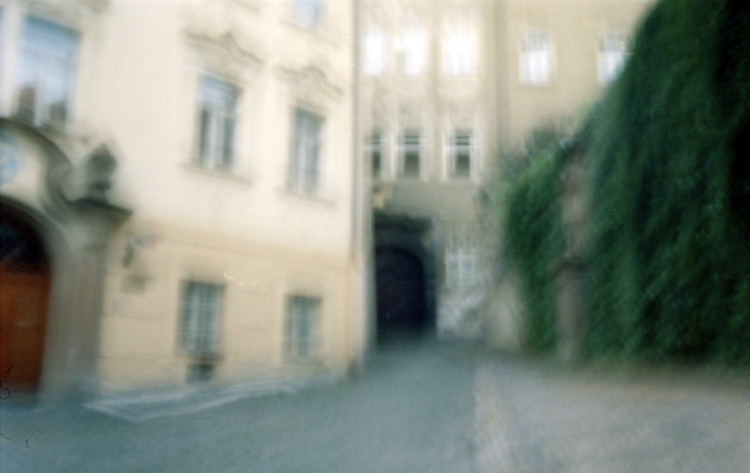 As he rediscovers his past, Austerlitz embarks on a journey through time and space, from mid-20th-century Mitte-Europa to contemporary England. 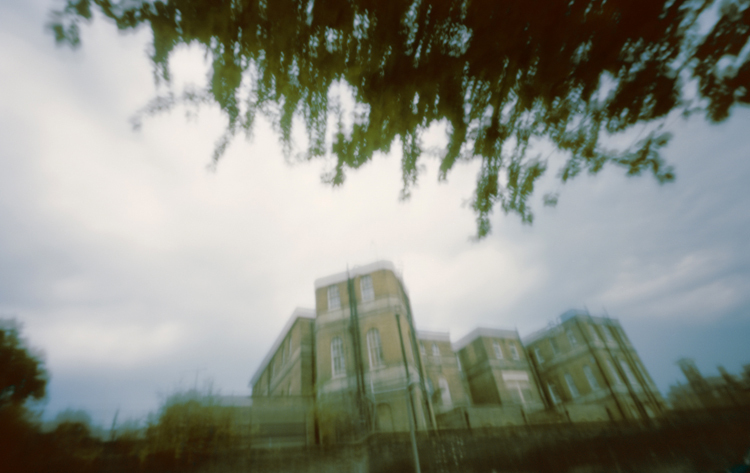 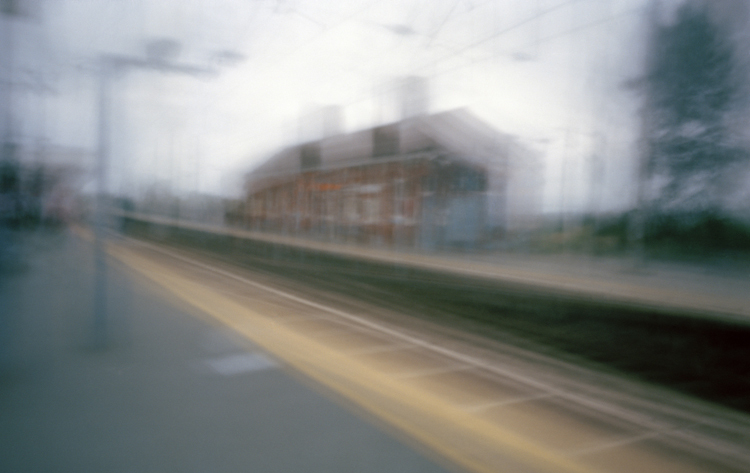 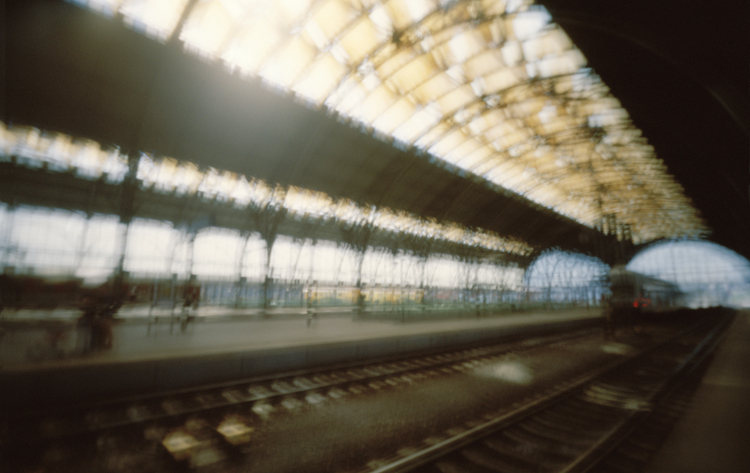 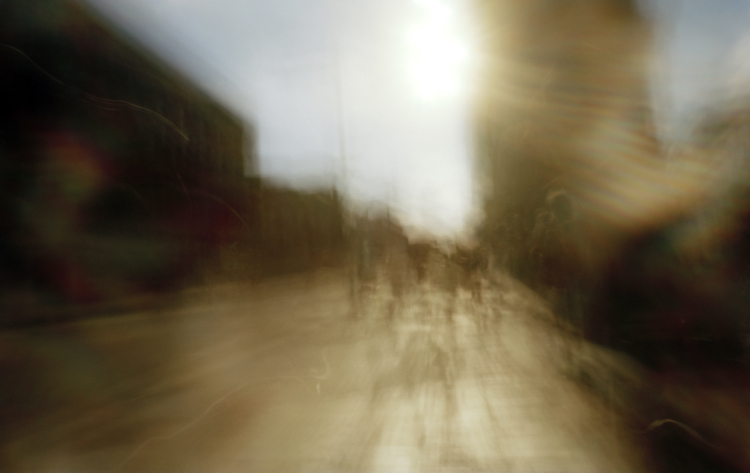 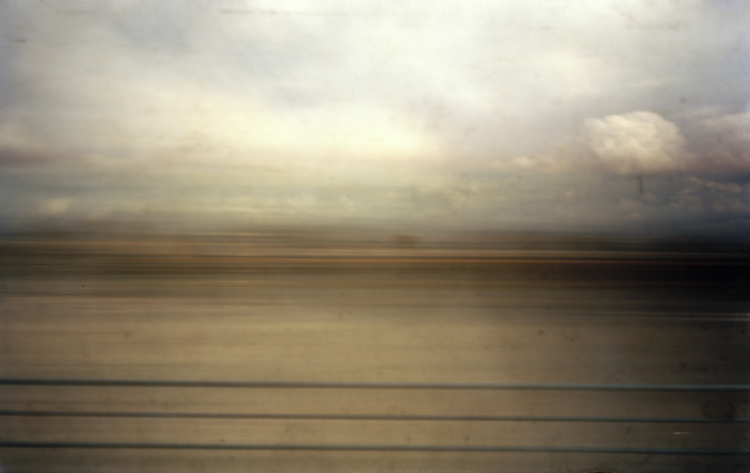 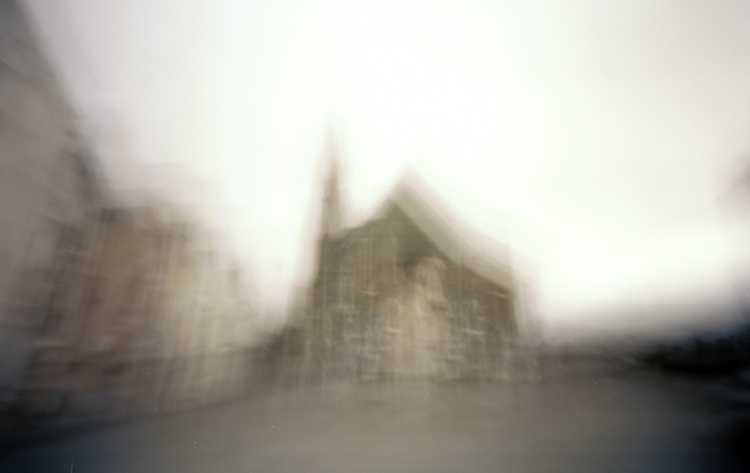 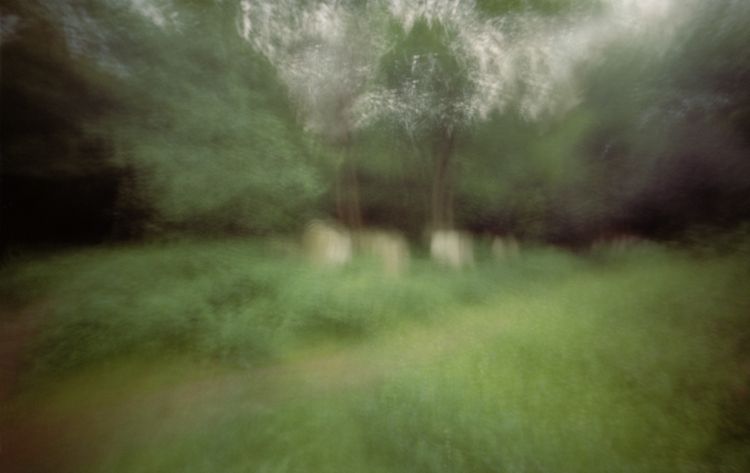 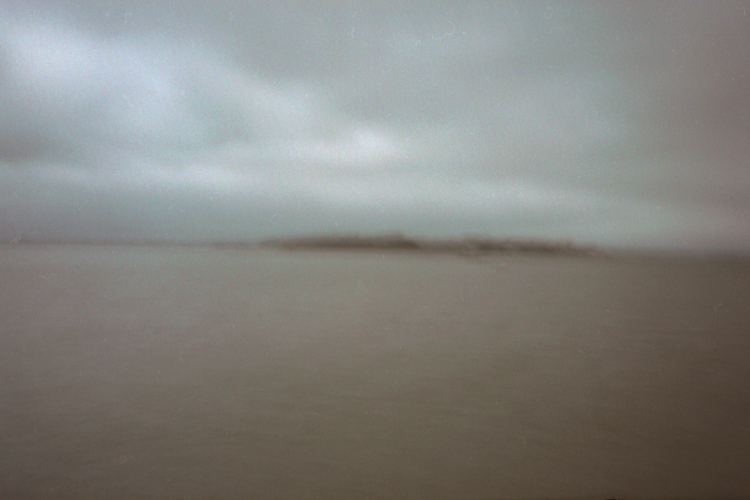 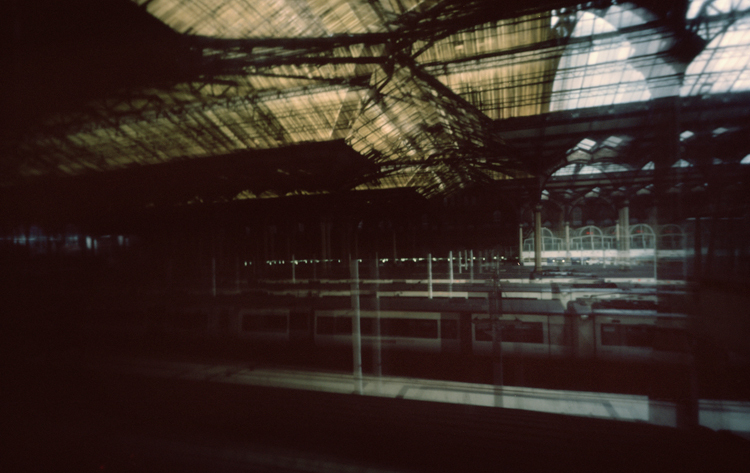 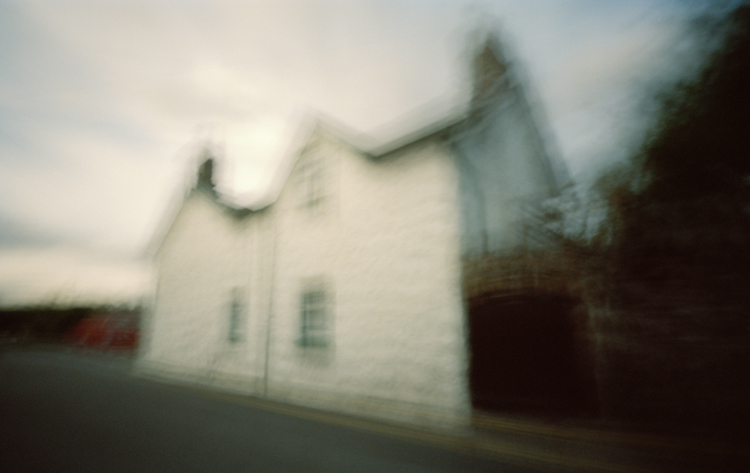 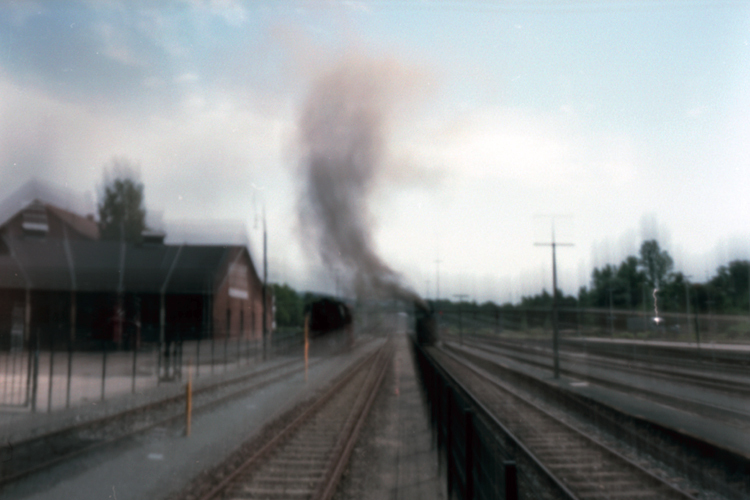 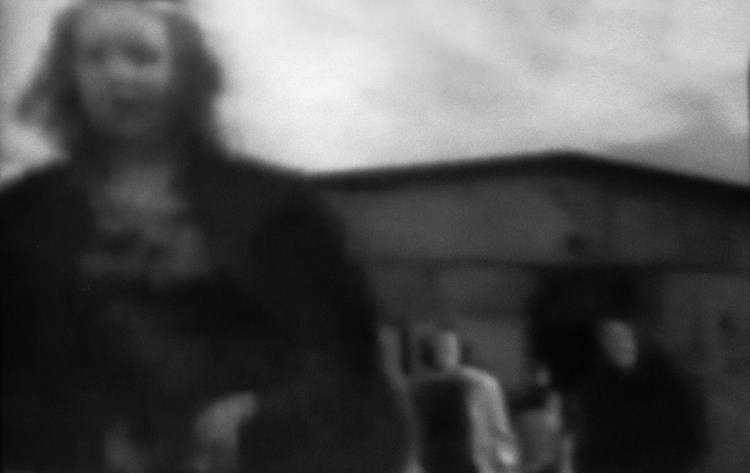 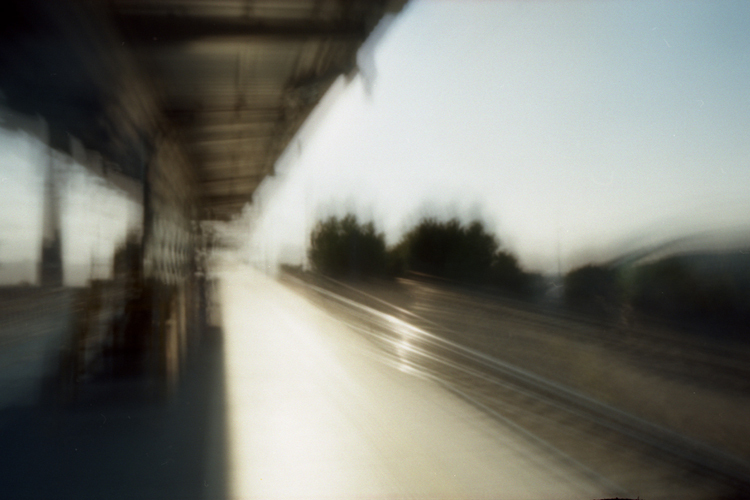 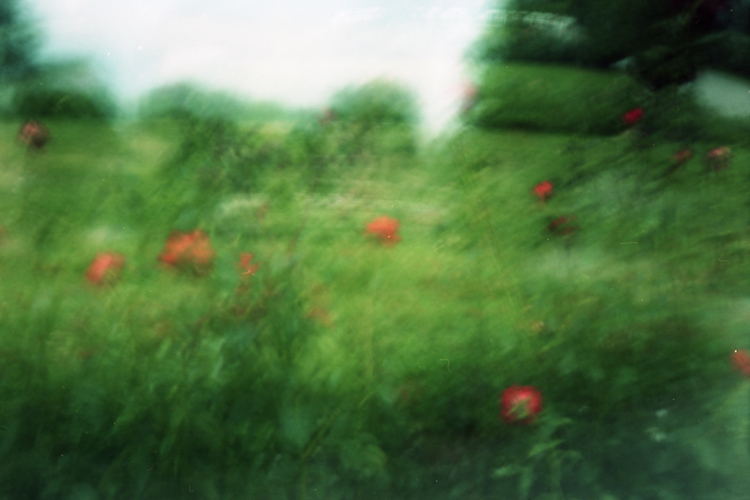 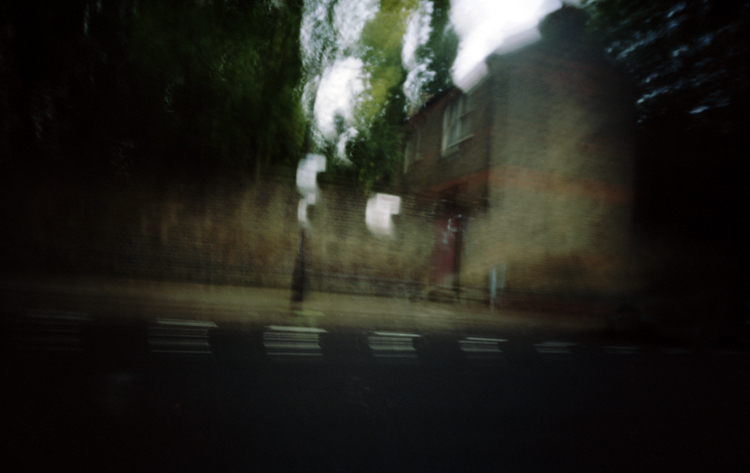 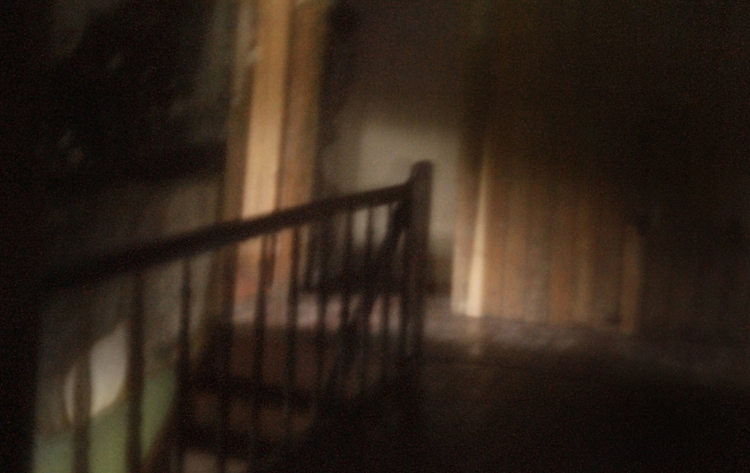 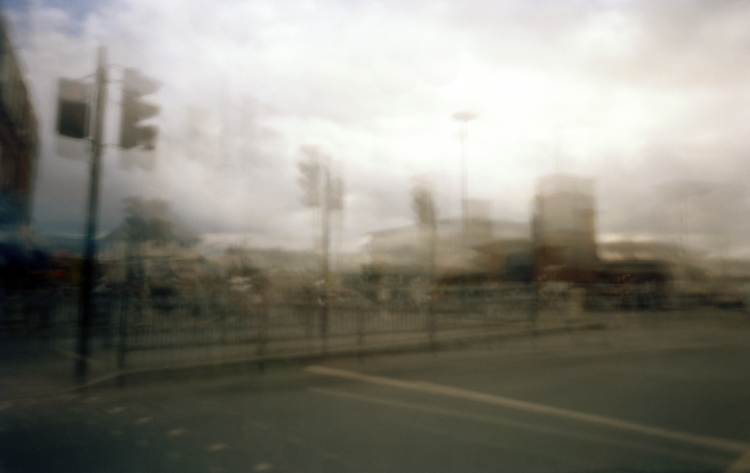 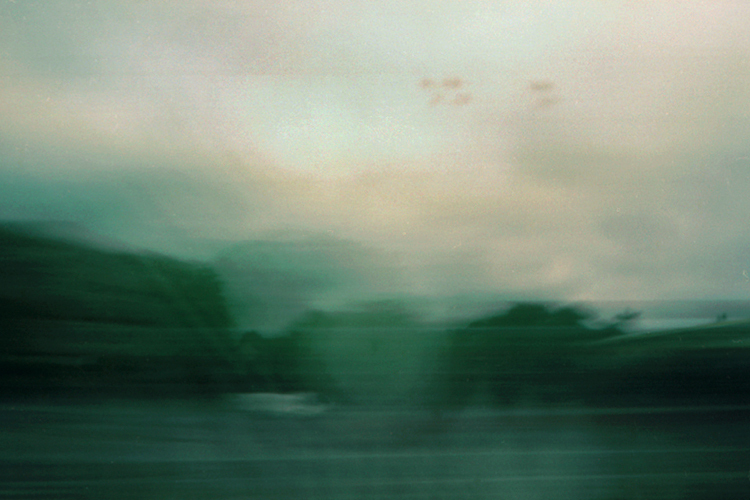 The resulting photographs, all taken with her handcrafted pin-hole camera, are the work of light, time and memory. 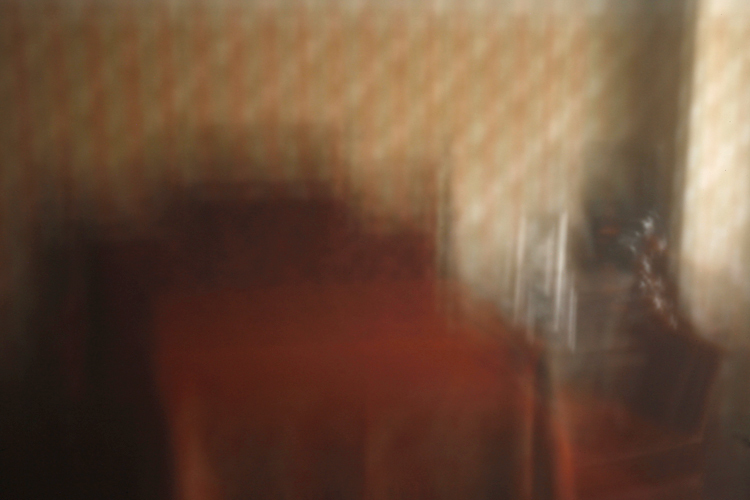 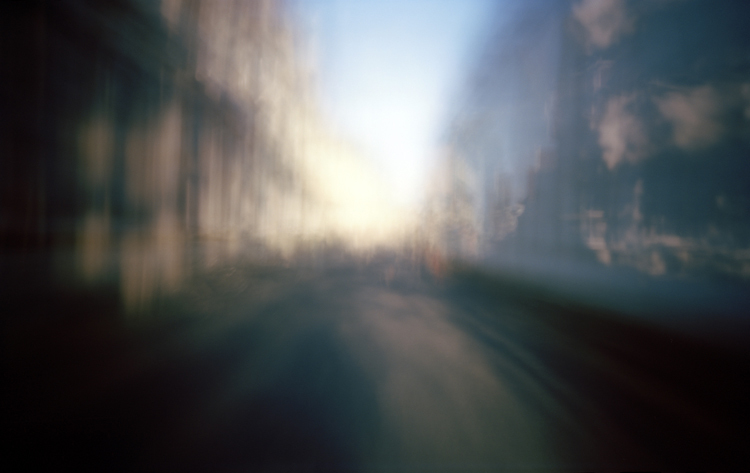 Elusive images created by aggregated traces of light, they evoke fuzzy memories, and justly lend themselves to both, the layers and recesses of Austerlitz’ mind, and Sebalds’ narrative. 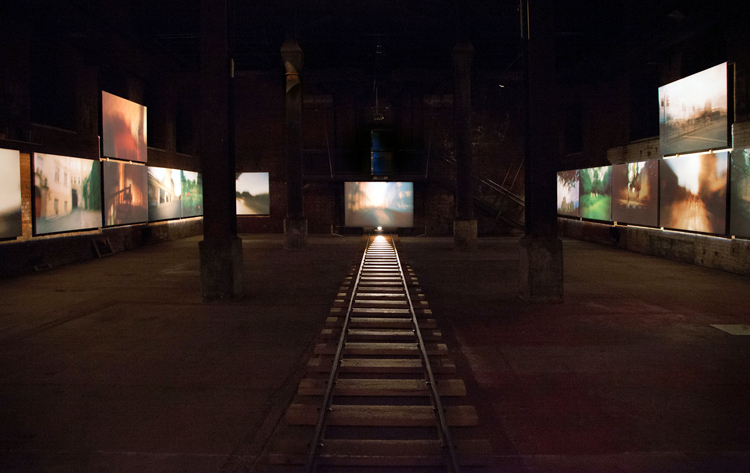 Pursuing her interest in bringing together visual art and performance, Stuke has also devised, in collaboration with Jules Wright, a large-scale installation that brings key elements from the book into a reality where the visitor is an active viewer and listener, delving into the darkest corners of Austerlitz’s memory, and of Europe’s recent history. 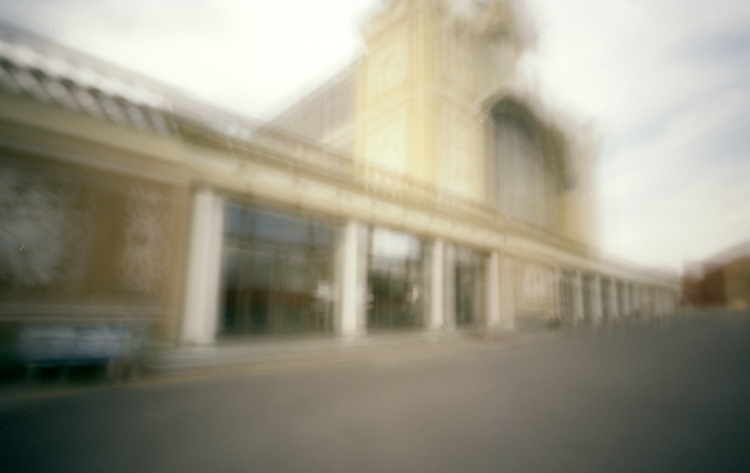 Trade Fair Grounds near Stromovka Park.